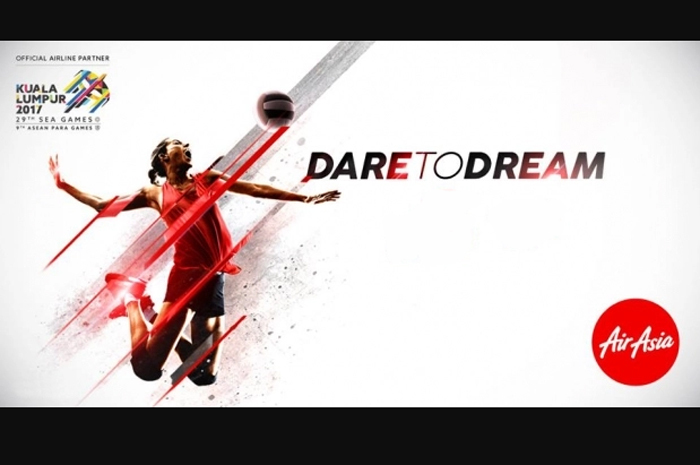 AirAsia recently launched the #DaretoDream campaign in time with the 29th Southeast Asian Games in Kuala Lumpur this coming August 19 to 31. Showcasing the spirit of Filipino sportsmanship, it’s an initiative hoping to inspire locals in discovering their potential to excel in their sports endeavors and turn their dreams into reality. Besides that, it’s also a simple way to show support to our athletes competing with our neighboring countries in Malaysia. AirAsia, the official airline partner of the 2017 SEA Games, will be launching a four-part webisode chronicling the rise of four Filipino athletes joining the games this year—from their humble beginnings, their hopes, challenges and dreams, and finally, to their current success in their chosen fields of sport expertise. They would be featuring Alyssa Valdez who hails from Batangas for volleyball, two-time Olympian Jessie Lacuna of Bulacan for swimming, and three-time Olympian Marestella Torres-Sunang of Negros Oriental for long jump. The series hopes to inspire kids inclined with sports to pursue their passion and push through adversity. Besides these series of videos, sports enthusiasts wanting real-time updates regarding the SEA Games would also be able to keep posted on the games’ happenings the AirAsia Philippines Facebook page. Hosted by local volleyball hero Michele Gumabao, four videos would be posted on the page starting with highlights of the opening ceremony, features for the winning athletes, and winning moments from our very own Filipino athletes. Learn more about AirAsia’s #DaretoDream campaign and watch the video series by visiting the AirAsia Philippines Facebook page and following me on my Lakad Pilipinas Facebook page.